Mini rice cakes made from gently puffing grains of wholegrain rice and then dipping them in the finest organic yoghurt. 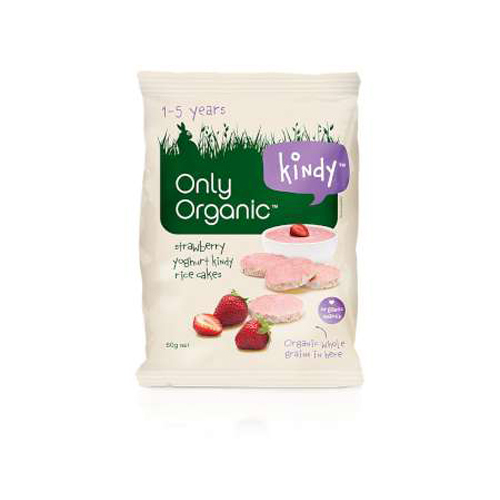 Only Organic Yoghurt Rice Cakes are packed full of flavour of wholegrain and yogurt the perfect treat to share with your family on special occasions, school lunches and office snacks. 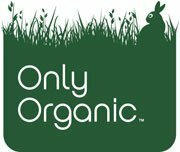 A great organic snack to have in the pantry. Perfect to serve with children's fruit platter. Yoghurt Topping (Cane Sugar*, Cocoa Butter*, Skimmed Yoghurt (Milk) Powder*, Full Cream Milk Powder*, Strawberry Powder (2%)*, Red Currant Powder*)(55%))*. Rice (45%)*.